Coming soon! A new monthly subscription box service VTGBOX is making headway! We plan on launching the new service hopefully by July 7th 2018 (we are almost there – a few loose ends). We have a lot of work to do including design work, custom package design, box design, inventory sorting, marketing, social media, advertising and more. We will have a limited amount of monthly subscriptions available and are capping off (Limiting) subscriptions in order to deliver quality boxes in a timely manner. A curiously curated monthly box full of hand picked vintage items, trinkets, estate items, vintage treasures, antique goodies and more. From antique photos, postcards, vintage jewelry, vintage toys, comics, railroad items, oddities, collectibles and more. Always full of value and curiosity. Great for collectors, gifting, or reselling! The VTGBOX is a concept by J.W. Holcomb known as @RoanokeCollector on instagram. 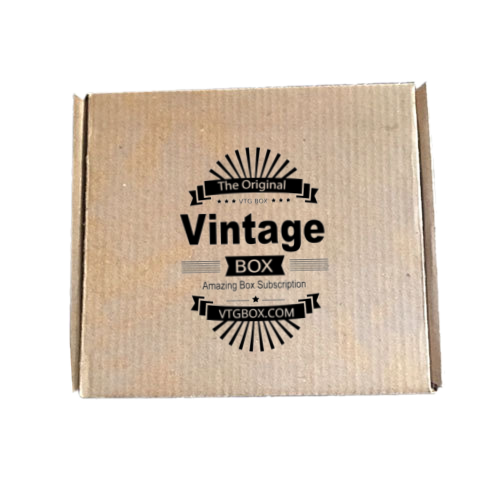 Each m onth members/subscribers of VTGBOX will receive an eclectic assortment of vintage goods and antique wonders delivered directly to their home or office. A small profile of each subscriber is collected in order to semi-customize the experience. For example a box recipient may want to share with VTGBOX that they collect coins, old toys, oddities, or like vintage jewelry. All VTG.BOXES are hand arranged and packed by people who love vintage items themselves! One month you may get a box full of stuff you like and the next month you may get stuff you LOVE. 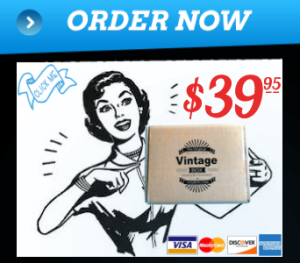 If you like vintage items, antiques, oddities, curiosities, and trinkets from times past, you will love VTGBOX. To spice things up a bit – We are including monthly “Luxury Prizes” in random boxes that will include High Value Items like Vintage 10k-18k Jewelry , Silver Coins, Rare Paper Antiquities, Metal Signs, Metal Wind-Up Toys, Precious Metals and Stones, Antique Pocket Watches, Rail Road Items, and more!